When you need a roomy garage, shed or shelter in a hurry this thirty foot by twenty foot by sixteen foot portable shelter is an affordable solution. Portable shelters almost never need a permit. 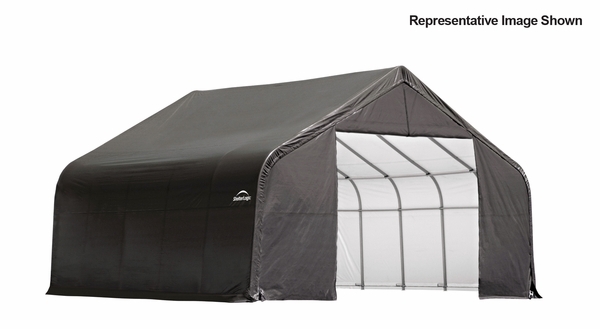 This study shelter gives you everything you need for a fast and easy set up anywhere you want. 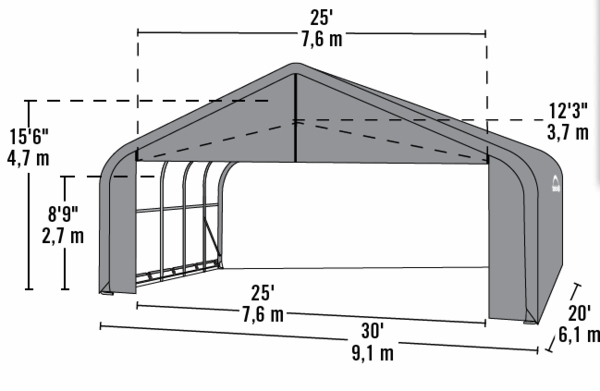 Shelter Logic, the manufacturer of this shelter, are the experts on portable shelters and garages. The offer a one year limited warranty on this structure.